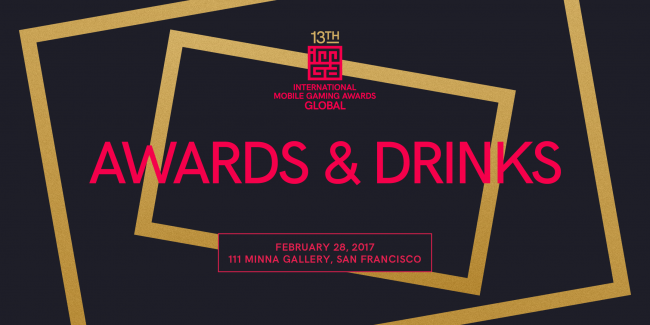 We are happy to announce that the 13th IMGA Global ceremony will be held on Tuesday February 28, 2017 at 111 Minna Gallery in San Francisco. Doors will open at 6:00 pm, the ceremony will start at 7:00 pm and we invite everyone to continue with an exclusive party hosted by Youzu from 8:00 pm to 12:00 pm. Like last year we will organize a happy hour between journalists and nominees from 6:00 pm to 7:00 pm. This will be a good opportunity for nominees to show their work to the press. After this, winners of this year’s IMGA Global competition will be announced. Best of luck to all of our nominees! 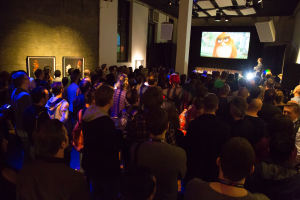 Sponsors, judges, journalists, big studios and indie developers will all attend this unique event, bringing together the best and brightest in the mobile games industry today. The 13th IMGA Global Ceremony is an invitation only event, so please send an email to contact@imgawards.com to get your pass in advance. This year’s ceremony will be hosted by Maude Garrett, the Australian radio and television personality, magazine columnist, and YouTube sensation. Right after the ceremony, a great party organized in partnership with our Platinium sponsor Youzu will be held in 111 Minna Gallery. The theme of the party will be Youzu stars, and a lot of surprises are waiting for you! Like the ceremony, the after-party will be a limited space event, so please register at xxxx to save your spot. Established in 2009, Youzu Interactive is a global entertainment company specializing in game development and distribution. In 2014, they became becoming the first domestic A-share gaming company in China. We look forward to welcoming you on February 28 at the 111 Minna Gallery, 111 Minna Street, San Francisco.